Just Jacqui Is January’s Member of the Month! 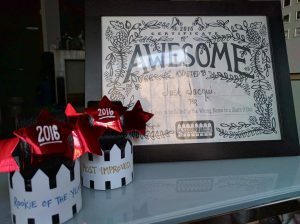 Just Jacqui left our end of the year party with an impressive pile of awards (and a leopard print onesie…). We thought it was time to let the world know a little more about 2016’s Rookie of the Year and Most Improved Skater! How long have you been playing roller derby? When did you join SRD? 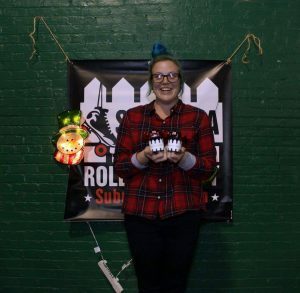 Why did you start playing roller derby? I saw a documentary on Netflix about the start of roller derby and just knew I had to be a part of it, the girls looked so cool and strong, I wanted to be them! 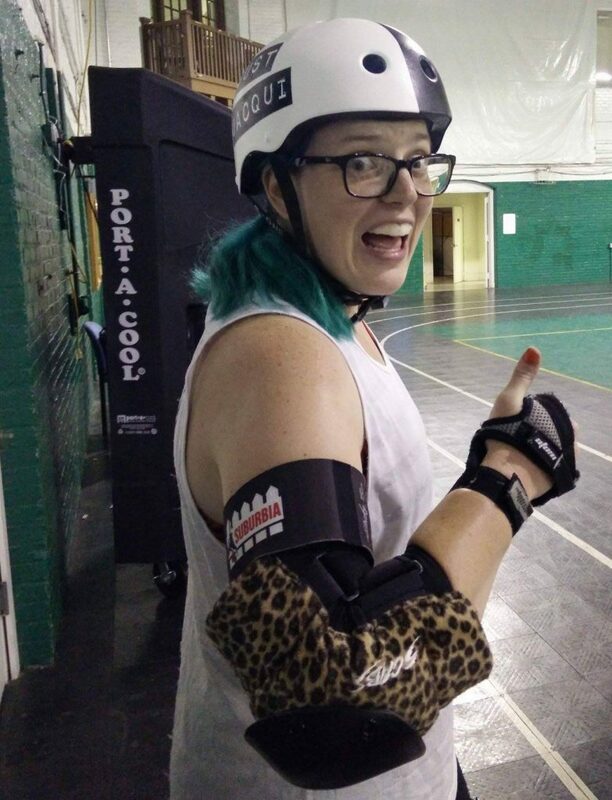 Why do you keep playing roller derby? It makes me happy. Plus I feel cool, confident, and strong when I play. Like I can take on the world because of derby. Friends are fun too. 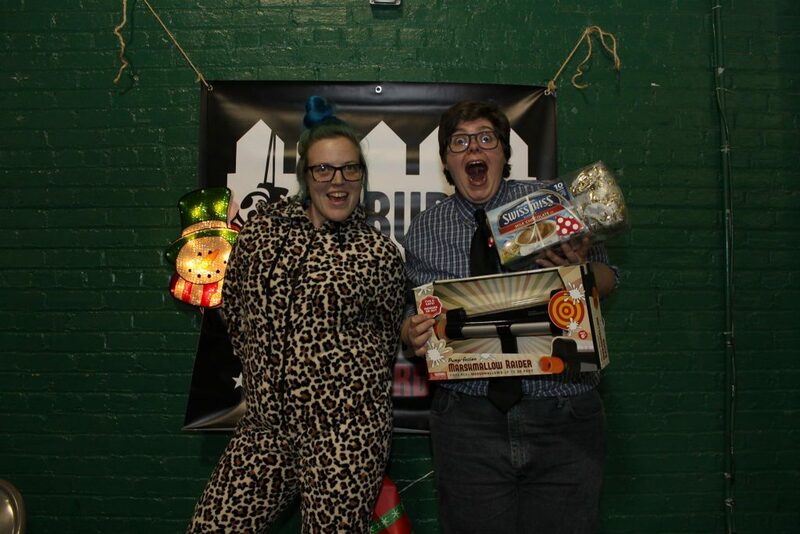 Jacqui and Ramma Jamma show off their gifts at our holiday party. What’s your proudest derby moment? Anytime I nail a trick or move in practice that has taken me time to master. What do you do outside of derby? I work at an ice skating rink. I also go to school in the maritime field so that I can become a captain of a boat one day! I also enjoy long walks on the beach and playing Magic the Gathering. What are you hoping to do in 2017? Win more games with my team! And recreate scenes from “Whip It” where they skate into stores backwards handing out flyers. And there you have it! Is there anything else you’d like to know about Just Jacqui? Let us know in the comments! PartyGirl Accelerator Is September’s Member of the Month! Mia Morales Is February’s Member of the Month!